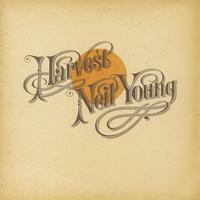 "Harvest" is the fourth album by the Canadian musician Neil Young, released on February 1, 1972 on Reprise Records. It featured the London Symphony Orchestra on two tracks and vocals by noted guests David Crosby, Graham Nash, Linda Ronstadt, Stephen Stills, and James Taylor. It topped the Billboard 200 album chart for two weeks, and spawned two hit singles, "Old Man", which peaked at #31 on the Billboard Hot 100, and "Heart of Gold", which reached #1. It was the best-selling album of 1972 in the United States.